Looking for a one-stop-shop for all of your swimming pool equipment needs? You’ve come to the right place! At Cayman Pool & Spa, we’ve got you covered for swimming pool equipment and supplies for hot tubs & spas in the Cornelius, North Carolina area. 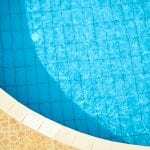 Owning a pool requires regular maintenance and sometimes repairs and replacements. For the average owner, it can be quite a hassle to figure out which parts you need or what chemicals to have on hand for your pool. Having the right swimming pool equipment on hand will ensure that you prevent costly repairs or replacements down the road. In addition to a pool pump and filter, your pool should have a proper vacuum and net to keep it clear of debris. Having the right chemicals on hand is essential for keeping the water balanced and safe to swim it. Lucky for you, there is a local center for top-quality swimming pool equipment in the Cornelius area. Our sales associates at Cayman Pool & Spa will help you get back to enjoying your swimming pool in no time! We even offer installation services and onsite repairs and maintenance, in addition to being your one-stop-shop for all of your swimming pool equipment needs. With over a decade of experience in the industry, we know pools and are confident we can provide you with the right solution for your needs. When it comes to swimming pool equipment, we have a complete line of pool parts in stock from brands like Polaris, Pentair, Jandy and Hayward. We also have a full line of pool chemical products from BioGuard, Sea Klear, and Bacquacil. Stop by one of our showrooms today! At Cayman Pool & Spa, we can provide the swimming pool equipment you need in Cornelius, Mooresville, Concord, Davidson, Harrisburg, Huntersville, Kannapolis, Statesville, Troutman, or the Lake Norman area of North Carolina.